Even more hearts are coming off my easel. 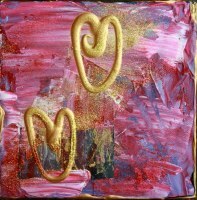 I have finshed a couple of paintings and I think there are still hearts waiting to be painted. 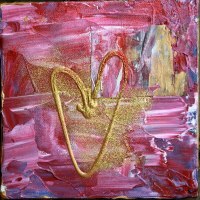 I have not painted many heart before, but this year has been full of them. It might be the pregnancy, or I get inspired by my daughter who loves hearts... who knows? It sure is fun and I have been painting a lot together with Meya lately. She is always a big inspiration for me.